As the Palos Verdes Symphonic Band celebrates its 50th anniversary with a March 25 performance at the Norris Theater, David Stanton will be nearing his first anniversary as musical director. Not that Stanton is new to the nonprofit community band, which entertains at numerous area venues, delights holiday audiences, plays at civic and charity functions, and sounds notes of solemn comfort at memorial ceremonies. Stanton played first clarinet for 11 years before stepping in to conduct and direct. The spring concert in March will provide, in part, a retrospective of “classic masterworks” the 60-piece community band has played. Additions to the repertoire include a piece the band commissioned for the occasion from respected composer Carolyn Bremer, chair of the Bob Cole Conservatory of Music at California State University, Long Beach. The band’s repertoire ranges from pops and Broadway, big-band jazz and marches to “serious” classical material, all of it aimed to please general audiences. “I like to see the band as having a sort of two-fold purpose, to perform at the highest level of concert music, and also to entertain and delight people on a very simple level,” Stanton said. “The amazing thing about a concert band is it can encompass a lot of different genres,” he said. The band has played operatic pieces with singers, and made use of a narrator for a performance of “The Night Before Christmas” — “a quite complicated piece of band music,” Stanton said. The band plays pops concerts at the Botanic Garden in the spring and summer, promising selections from Broadway and a suite of “Victory at Sea,” composed by Richard Rodgers and arranged by Robert Russell Bennett for the 1950s TV series. Internationally, the band in 1994 played in cities such as Lucerne, Innsbruck and Vienna, performing in two programs honoring Swiss National Independence Day. In 1998 the band made a concert tour of Scandinavia, and in 2001 performed in England and Scotland. The band also has released its first CD for public sale, based on a live performance of “Russian Connection” at the Norris Theater in April 2010. Stanton, who lives in Hawthorne, grew up in Manhattan Beach, hearing his father play clarinet and spin “very early Benny Goodman 78s” on the turntable. “I started playing clarinet in fourth grade, and just took it from there,” he said. Stanton was first chair and soloist with the Mira Costa High School band. He attended USC on a music scholarship, played with the orchestra, earned a bachelor’s degree in music and clarinet performance, and studied conducting with William Schaefer. Stanton relocated to New York, earned a masters degree in clarinet performance from the Manhattan School of Music, and won the Andrew J. Goodman Prize for clarinet performance. During 17 years in New York, Stanton performed with the New Jersey Symphony Orchestra, the American Symphony Orchestra and the Long Island Philharmonic Orchestra, and played on Broadway and with the New York City Opera and New York City Ballet. He taught music at the university level, and when he decided to move back to California, he began teaching at public schools, most of them elementary and middle schools, becoming band and chorus director for the small Little Lake City School District. After about a decade back in California, Stanton began playing again, this time studying jazz saxophone. “I found the Palos Verdes Symphonic Band, and I thought I would keep up my clarinet playing,” he said. He quickly became first chair, soloing with the band and playing under three conductors. The band is “quite a mix,” from retirees returning to their instruments, a flute player with a Seattle Symphony Orchestra background, and some good high school music students, Stanton said. “We’ve been very fortunate, over the last six months we’ve added a number of new players,” strengthening the brass and woodwind sections, he said. The band was founded by retired surgeon Eugene Reinaldo. Director Emeritus Richard Schwalbe led the band from 1973 until 2005, followed by John E. Hall, III from 2005 to 2008, and then Grant Sevdayan in 2009. Stanton began stepping up to the baton when scheduling conflicts prevented Grant Sevdayan from conducting the band at a Memorial Day observance at Green Hills Mortuary, and then again at a Fourth of July concert. When Sevdayan stepped down, the band’s board asked Stanton to become musical director on a permanent basis, planning the band’s programs, and rehearsing and conducting the musicians. “I’ve always been one to stretch things a bit,” Stanton said. He enjoys the complicated nature of the work, and bringing his own ideas to some selections. “When I was playing pieces on clarinet, I sometimes thought, ‘maybe if we do it this way, maybe if we do it that way.’ I kept it to myself, of course,” Stanton said. “I always thought we took it too fast too soon,” he said. Stanton’s varied background serves him well in the direction of a band that plays different styles, including big-band jazz pieces with first clarinet player Steve Catalano improvising on saxophone. “He’s quite a jazz soloist,” Stanton said. Stanton seeks input from band members on a program’s repertoire, and works to craft a cohesive program, and then help the band learn and perfect its performance. “The basic job of the conductor is to help this large group, 60 or 65 of us, play the piece as one,” Stanton said. 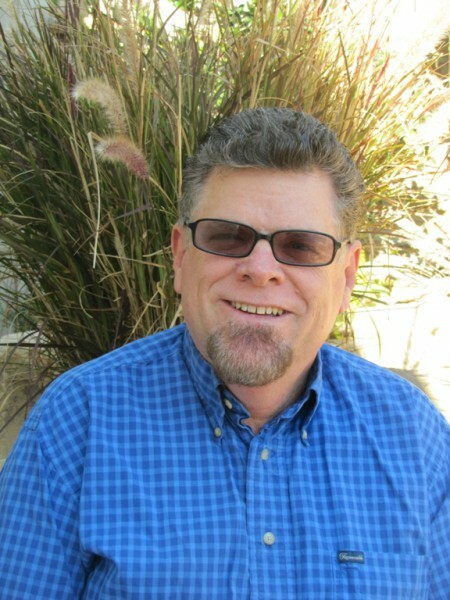 Retired from fulltime public school instruction, Stanton has taught woodwinds at Amuse Music for eight years, and teaches woodwind and ensemble classes in the Palos Verdes Unified School District. He plays sax and clarinet with several big bands including the Beach Cities Swing Band and the Jimmy McConnell Jazz Orchestra. And, to bring his Manhattan Beach musical life full circle, he plays clarinet with the Hyperion Outfall Serenaders, the city’s official band. The Palos Verdes Symphonic Band celebrates its 50th anniversary with a spring concert 3 p.m. Sunday, March 25 at the Norris Theater, 27570 Crossfield Drive in Rancho Palos Verdes. For more on the band, including information about its first CD for sale, and audio samples, see palosverdes.com/PVSB.